In between commissions I was able to make a knife for sale. It’s becoming more and more rare that I’m able to have time to make a non commission piece. This is what I’ve come up with. 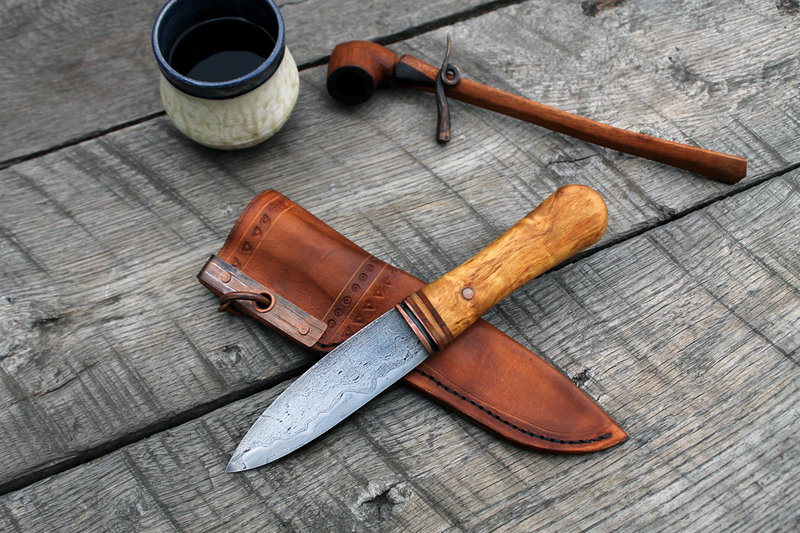 It’s sort of a modernized interpretation of a 10th century Scandinavian seax. The blade is 100 year old wrought iron and modern 1084 high carbon steel forge welded together in a laminate construction. 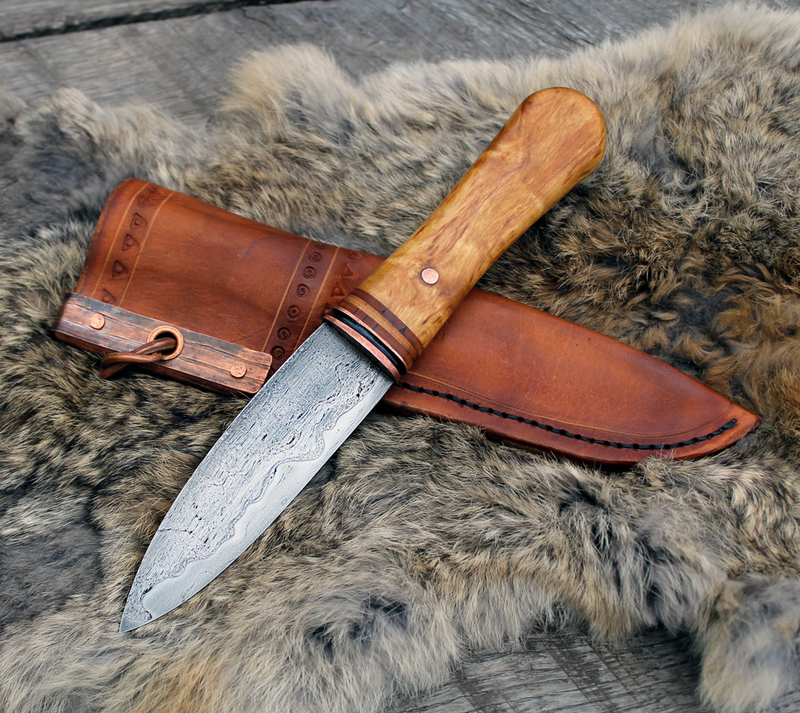 The handle is Massur Birch, Birch bark, and copper. 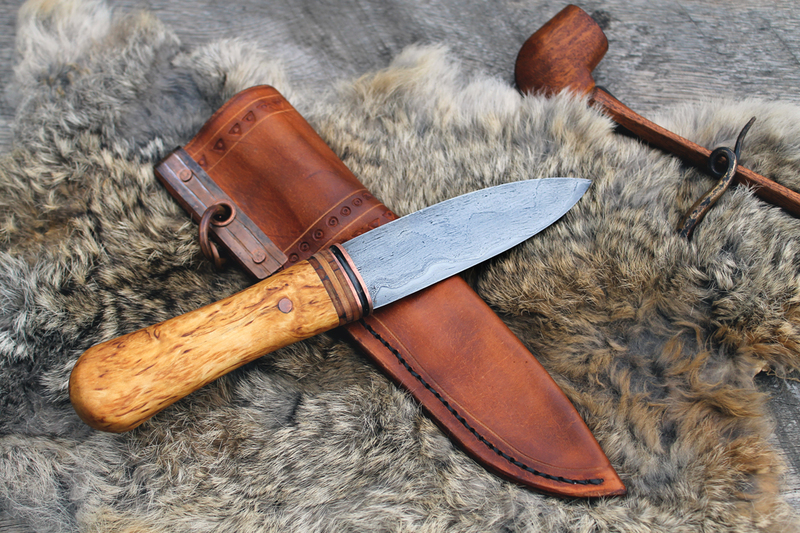 The sheath is vegetable tanned leather with copper reinforcements. If you are interested in purchasing this piece check out my etsy site by clicking here.